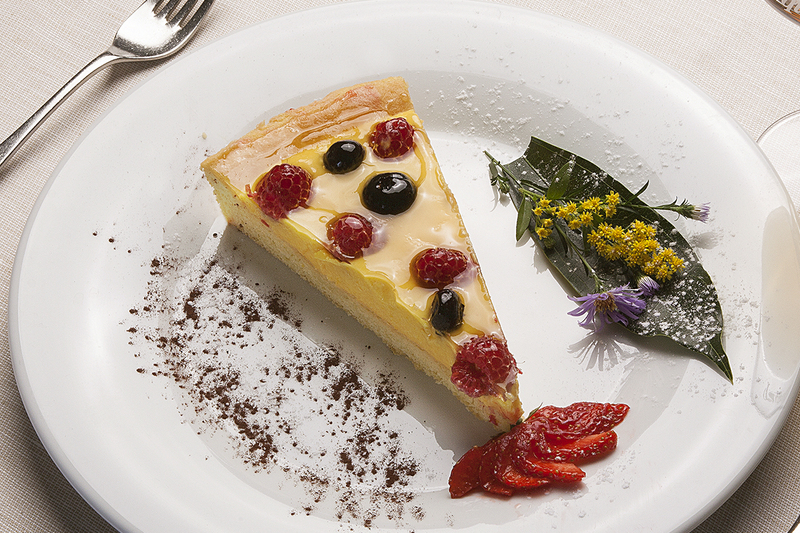 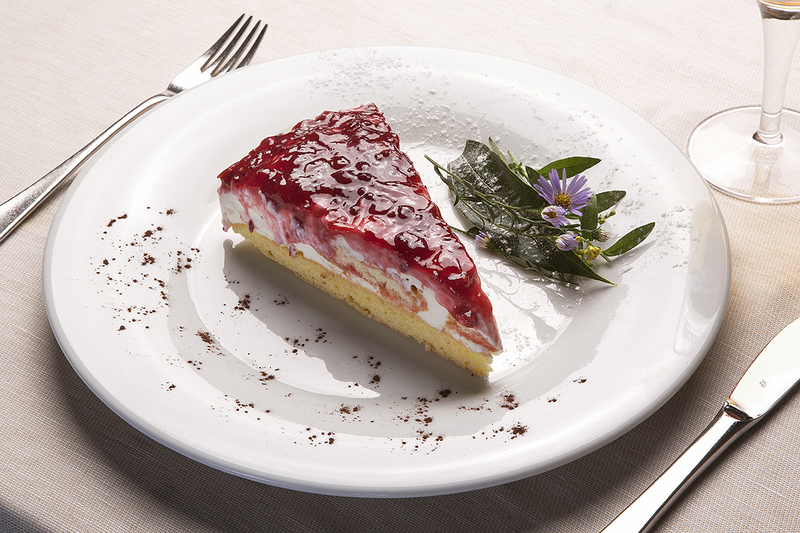 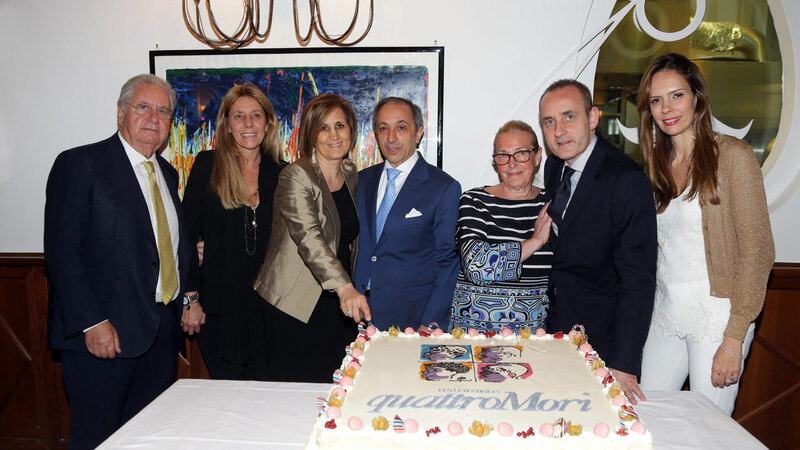 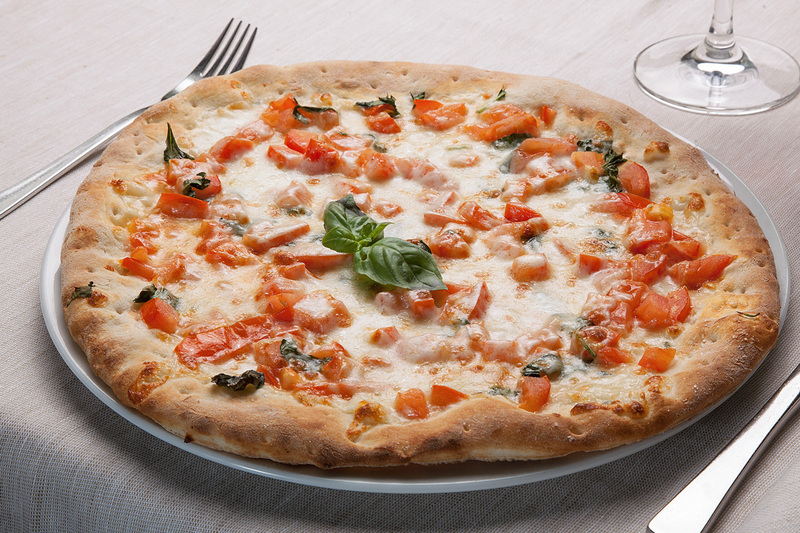 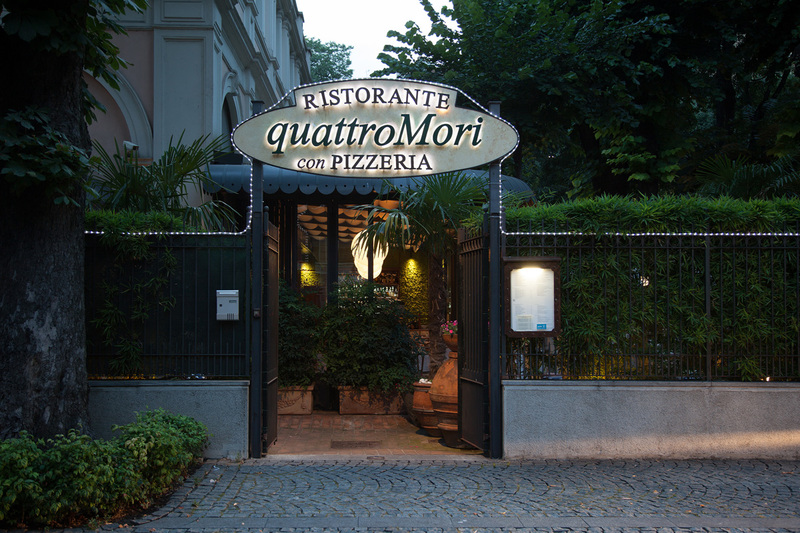 Duilio Matteoni opens the "quattroMori" restaurant in 1952 but transfers the business to Egisto Arrigoni in 1958. 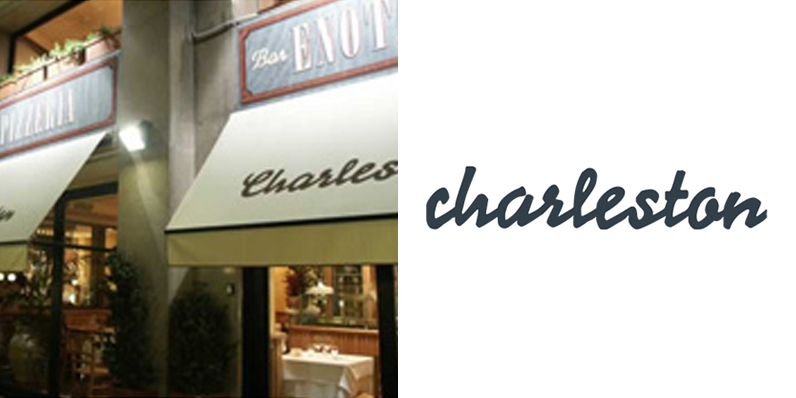 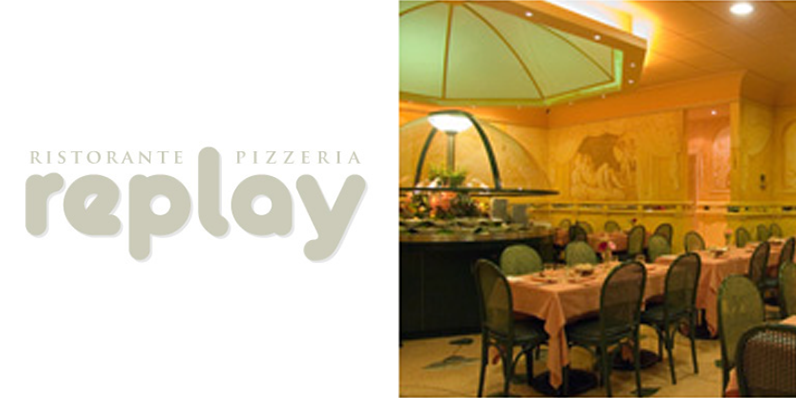 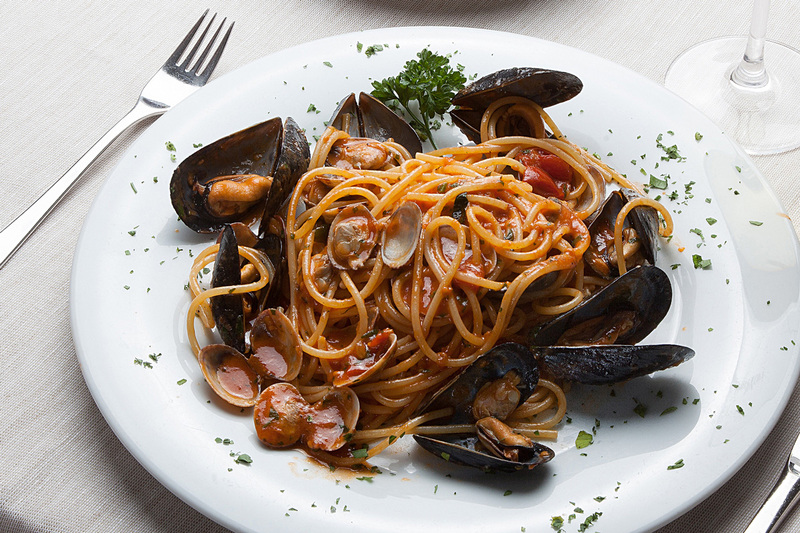 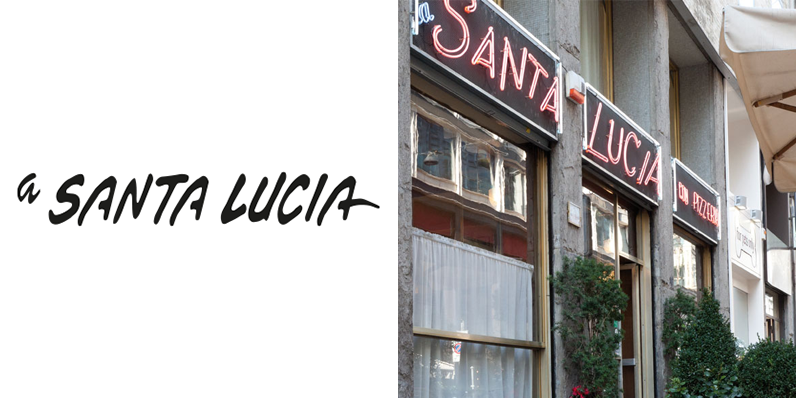 The restaurant was originally located in Via Dante but in 1959 moved to its present location in Largo Maria Callas, within the famous Teatro del Verme building. 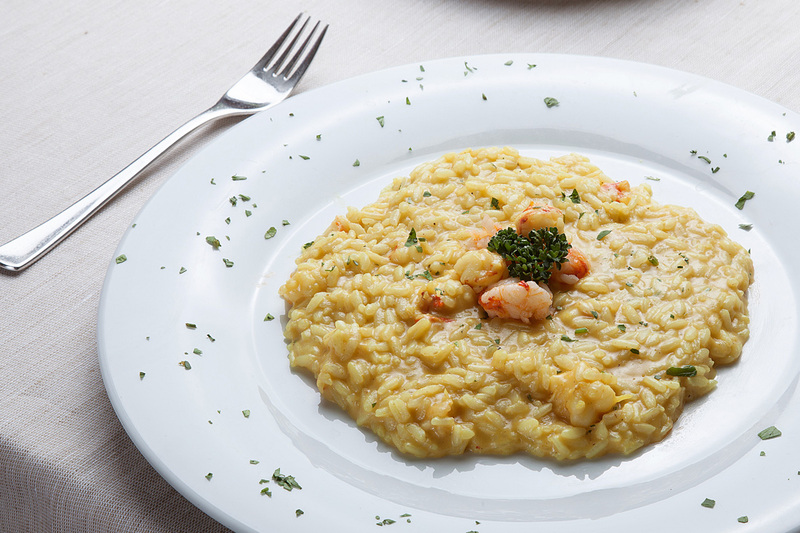 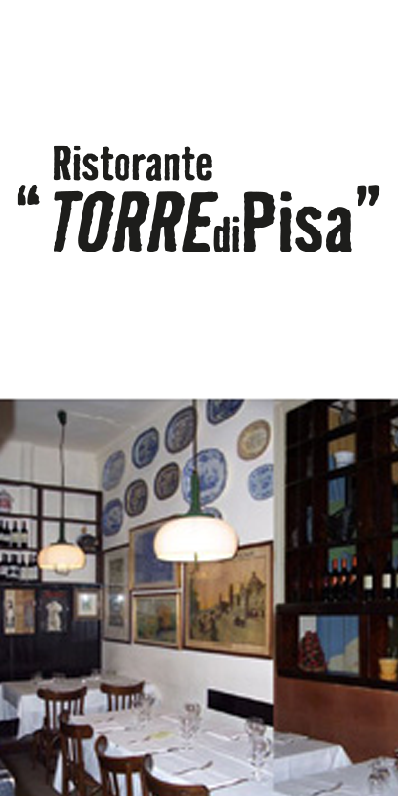 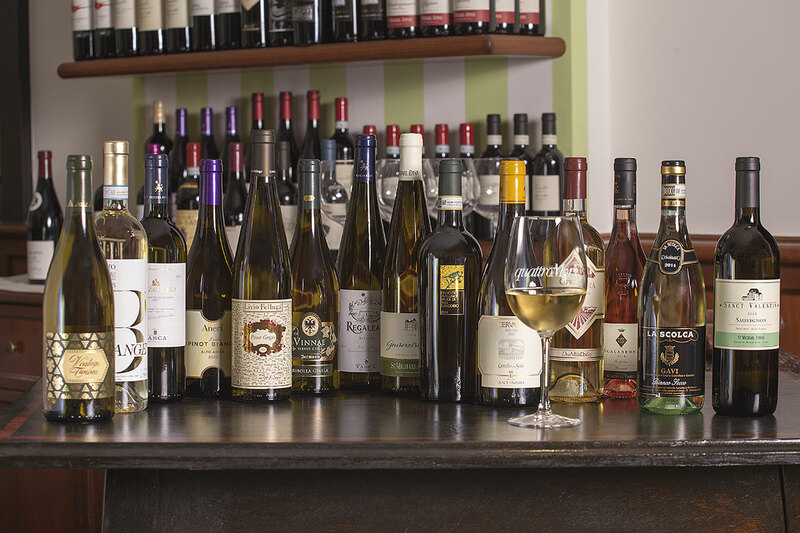 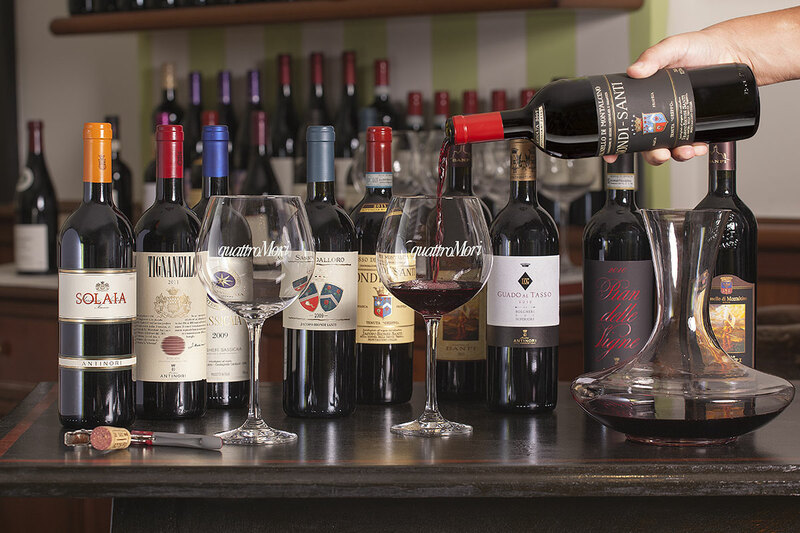 In 2005, the restaurant is bought by Mr. Vasco Alberto Cortesi, already well-known for his other botteghe storiche: the "a Santa Lucia" restaurant in Via S. Pietro all'Orto and the "Trattoria Torre di Pisa" in Via Fiori Chiari. 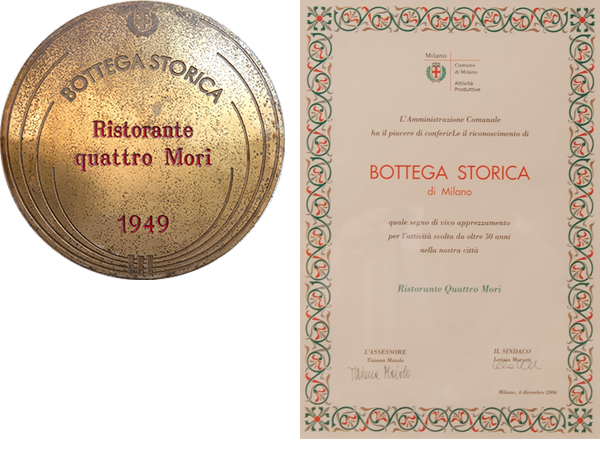 His passion for traditional restaurant heritage leads to the "bottega storica" status award for the "quattroMori" restaurant in 2006. 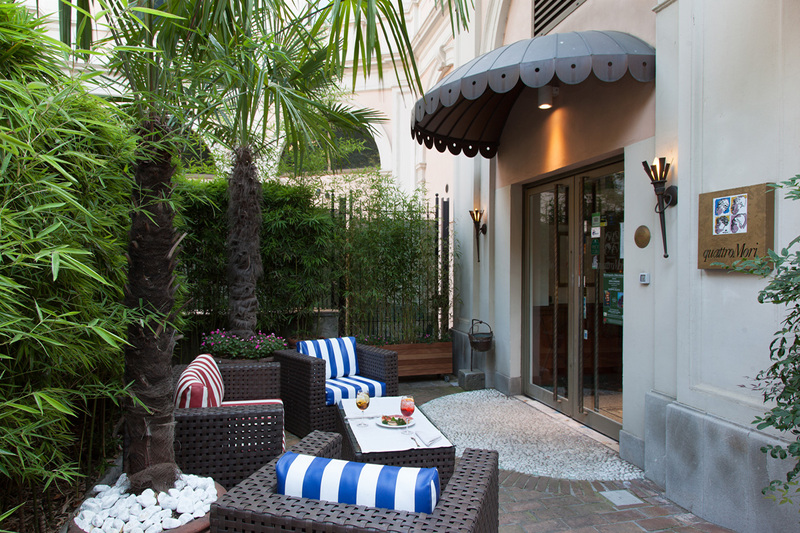 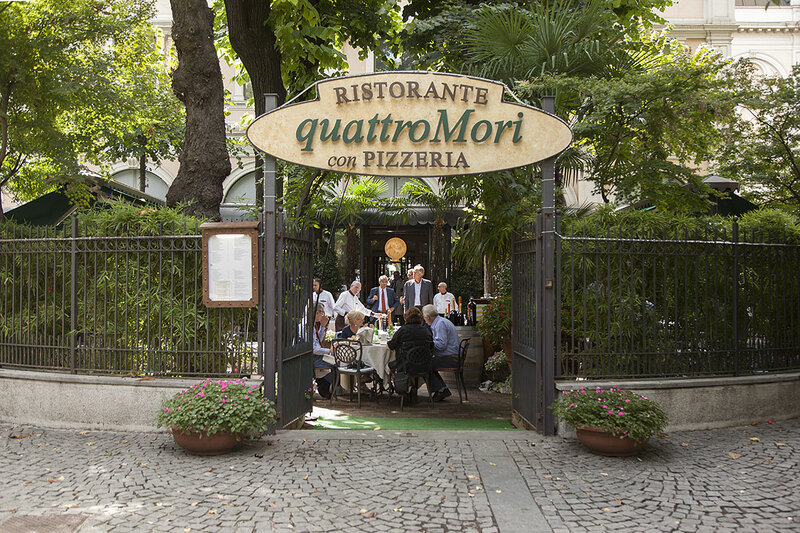 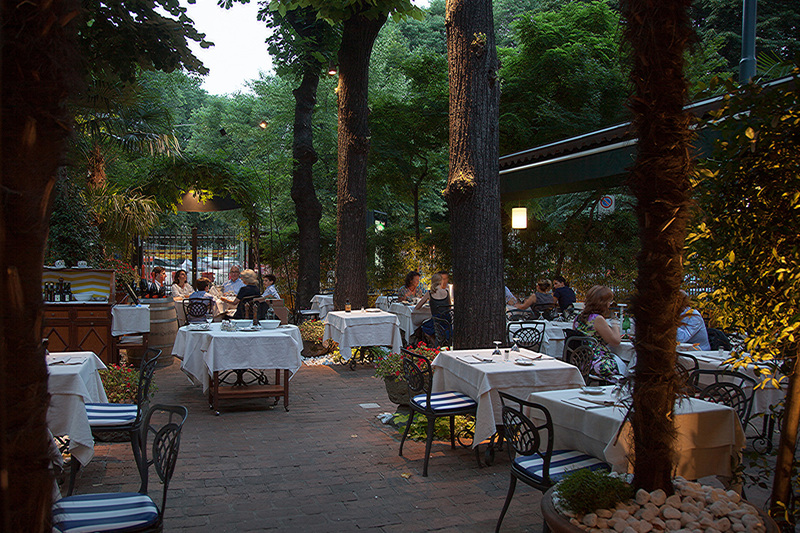 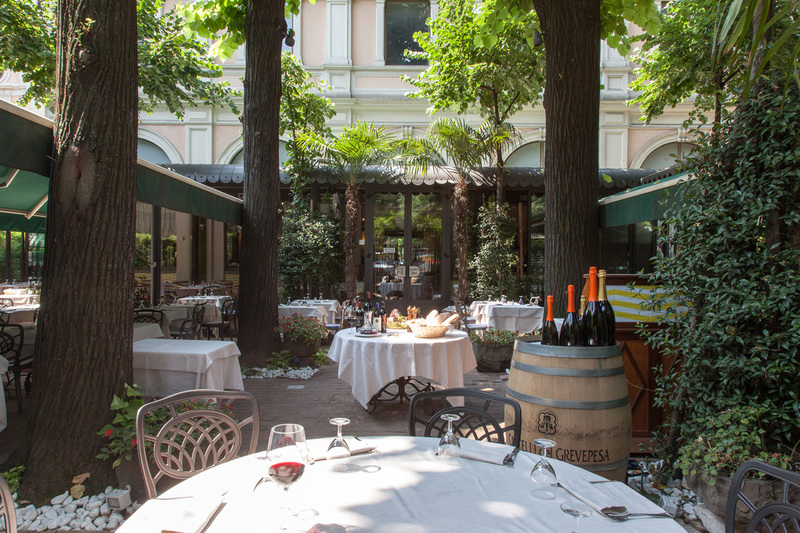 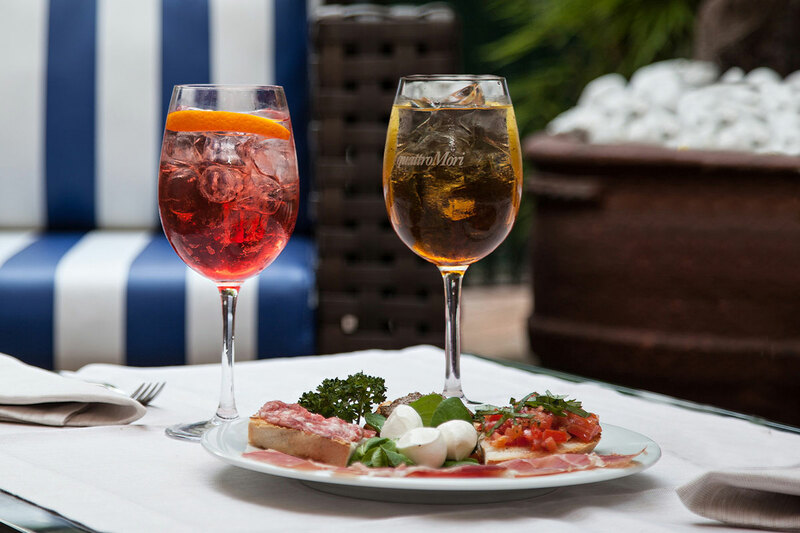 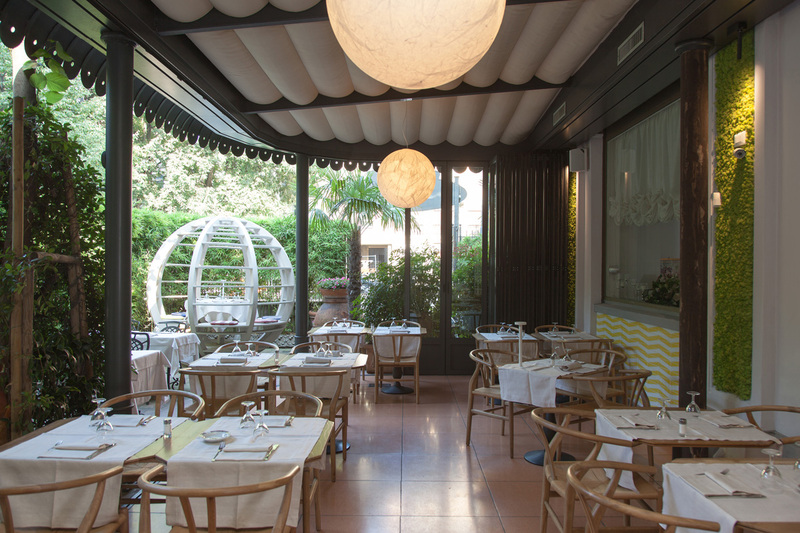 The restaurant features a spacious and bright dining room and a garden with century-old trees, a true oasis in the centre of Milan. 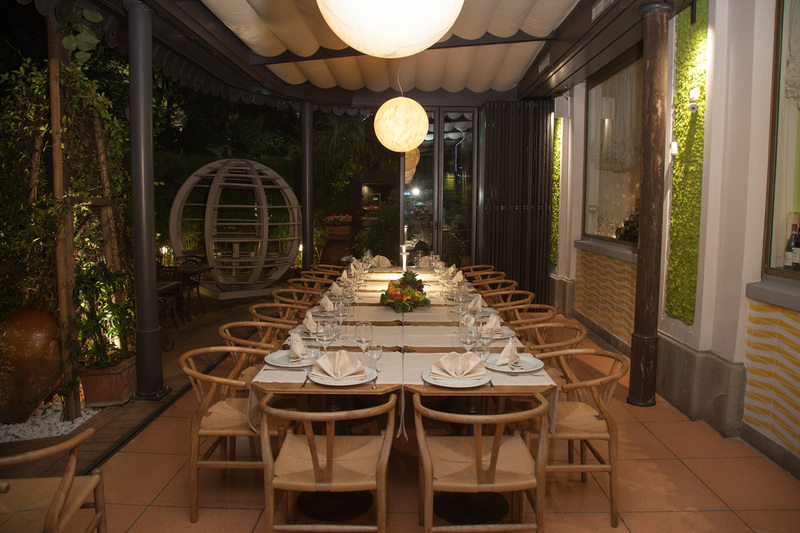 The spacious area is ideal for corporate meetings, ceremonies, events and is professionally prepared by our experienced team. 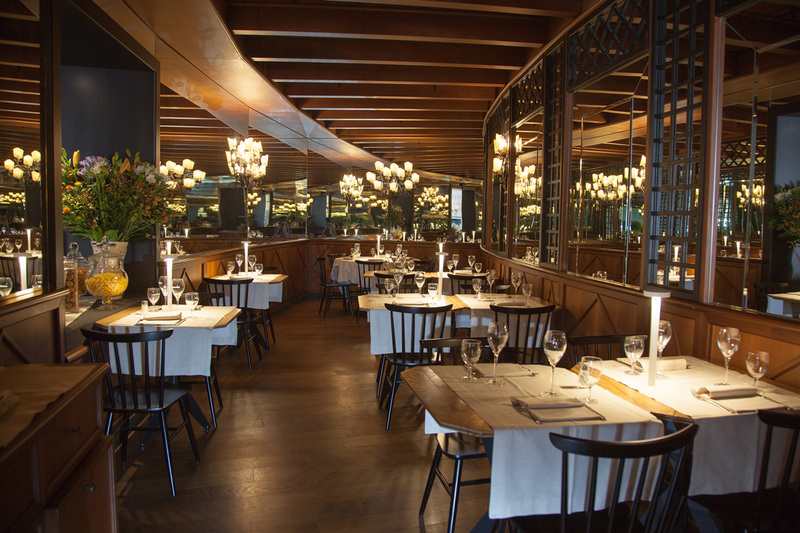 For those who wish for a more intimate event, the area also offers many quiet tables. 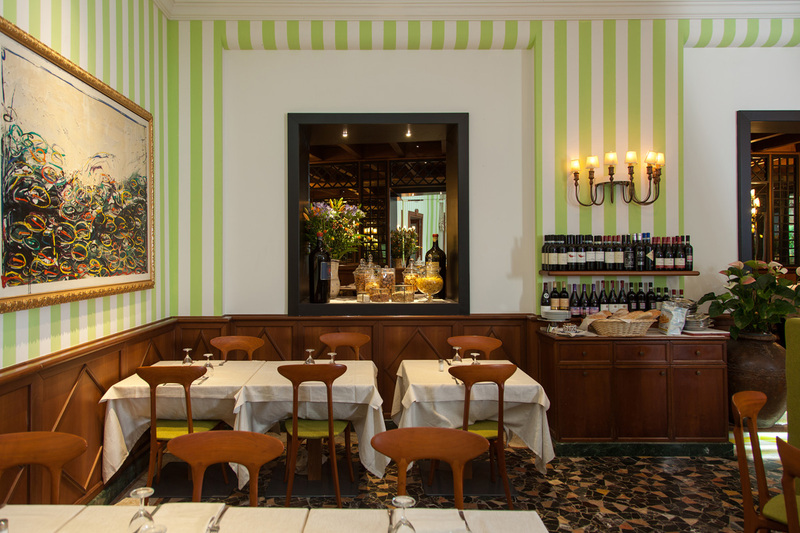 The restaurant clientele includes Stock Exchange officials, Chamber of Commerce officers, managers, company and corporate CEOs and managing directors, show business representatives, journalists and politicians. 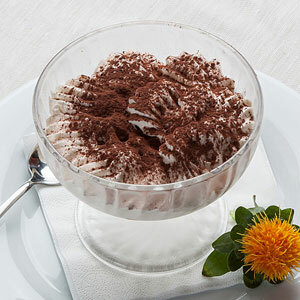 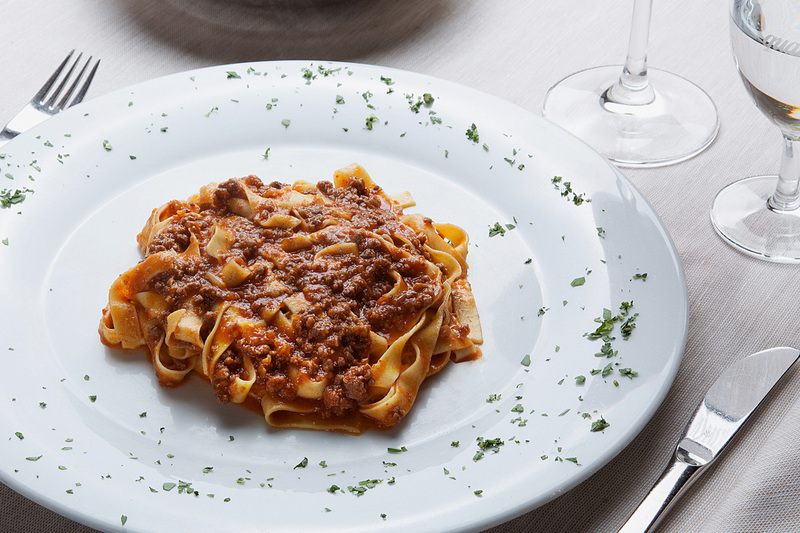 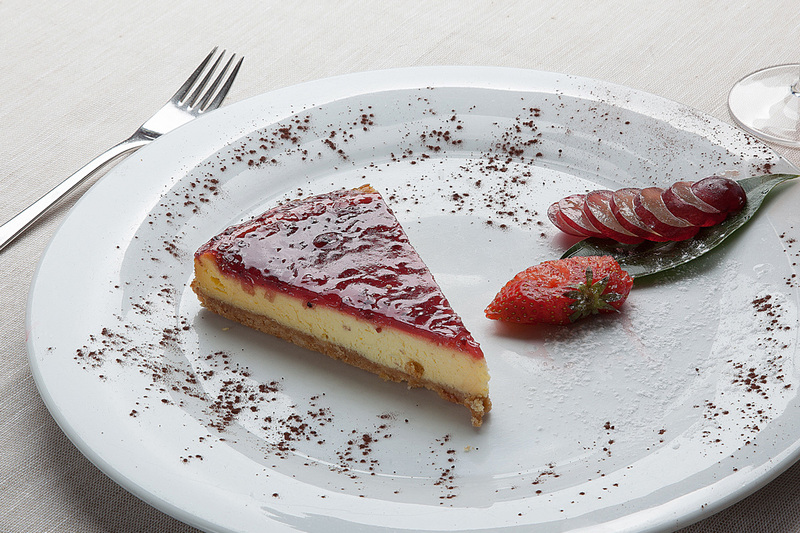 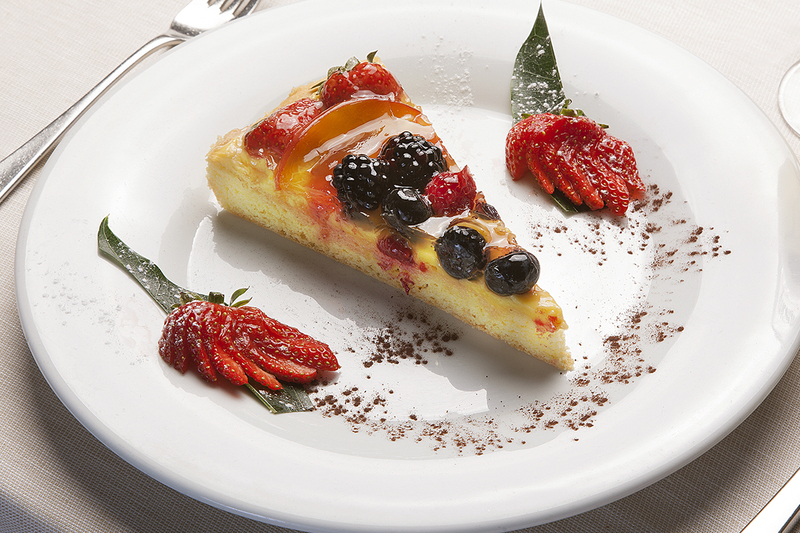 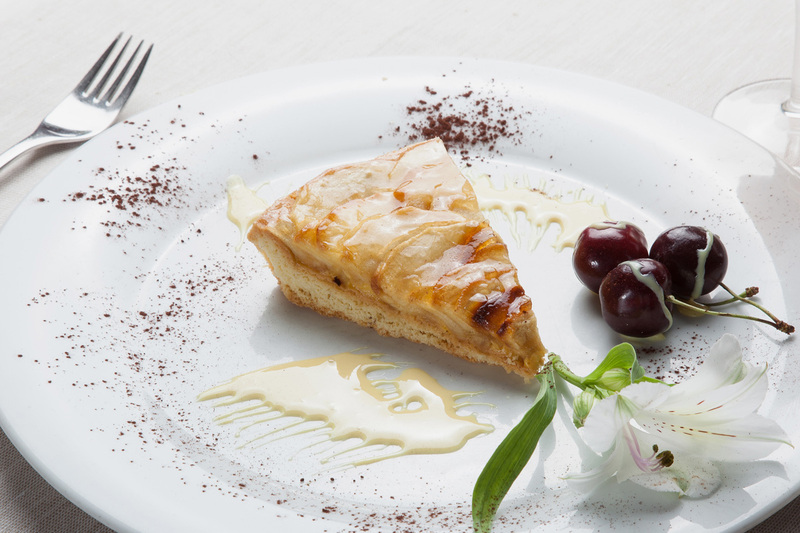 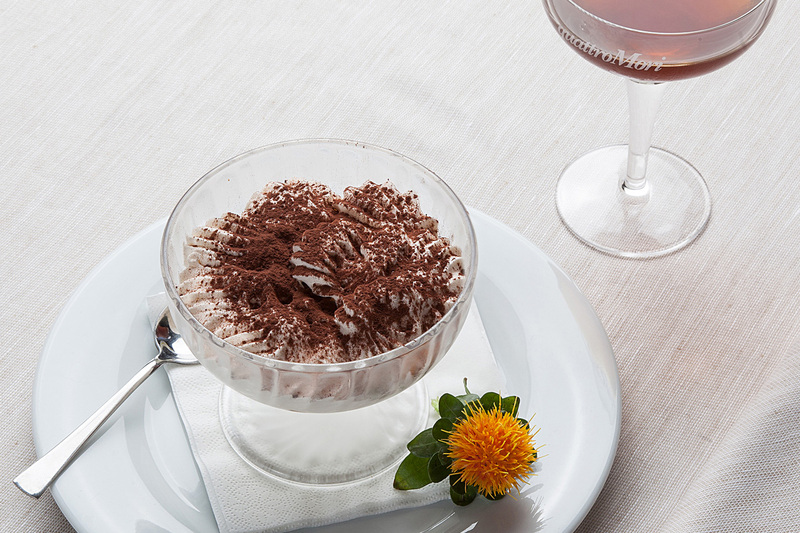 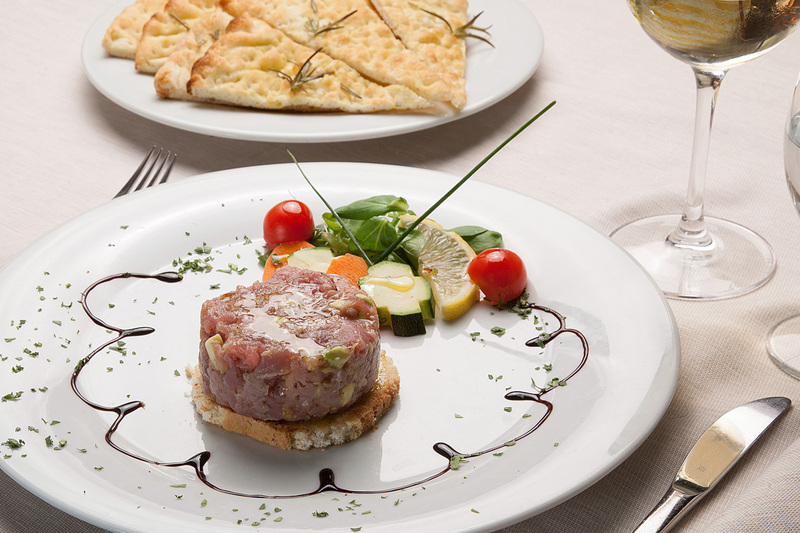 The restaurant set its standard to a high quality cuisine, offering traditional Tuscan dishes and specialities from Milan, prepared with homemade products following ancient recipes and methods. 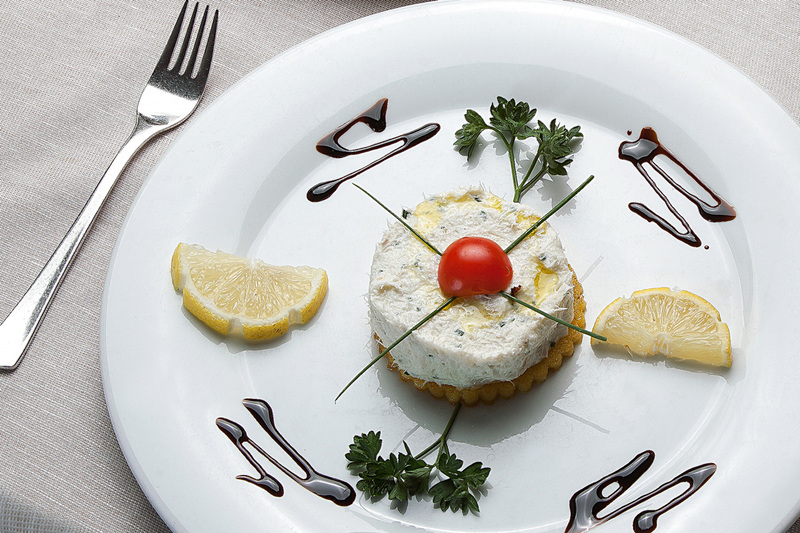 the presentation is extremely accurate and detailed. 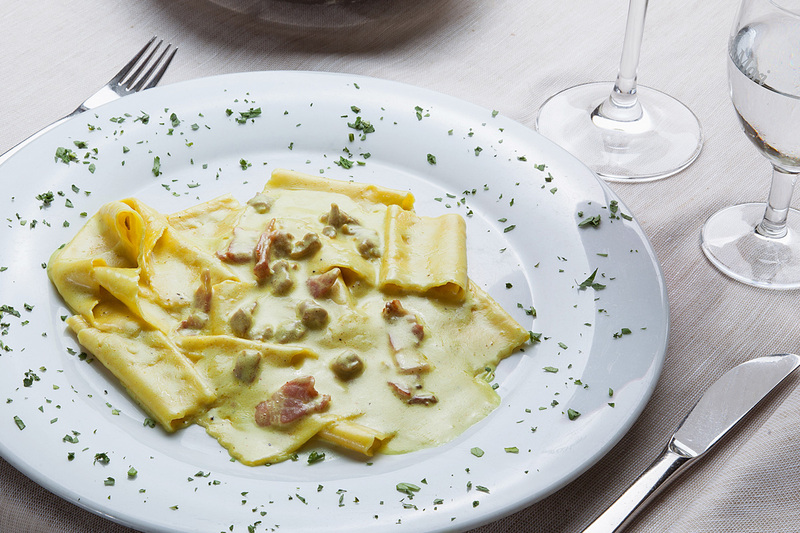 The fresh pasta is homemade: gnocchetti verdi (green dumplings), tagliolini (long, cylindrical egg pasta), tagliatelle (long, flat egg pasta ribbons), ravioli (filled pasta), pappardelle (large, broad egg pasta) and maltagliati (flat, roughly cut pieces of pasta). 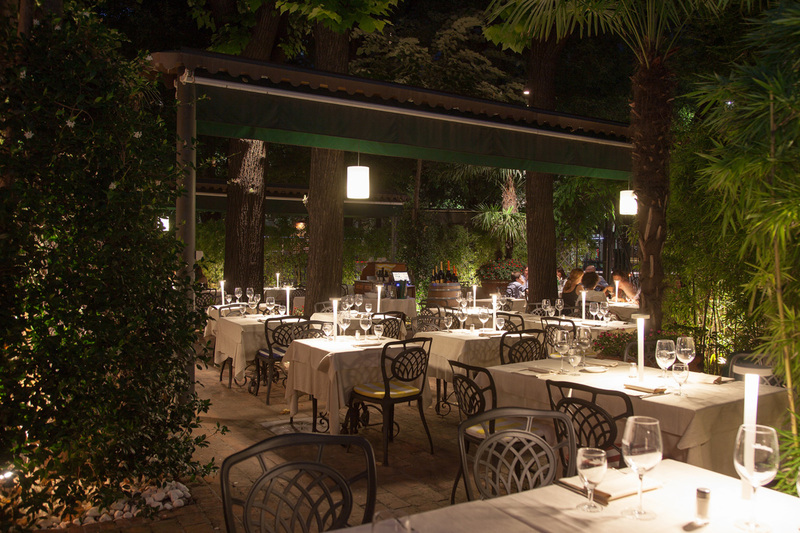 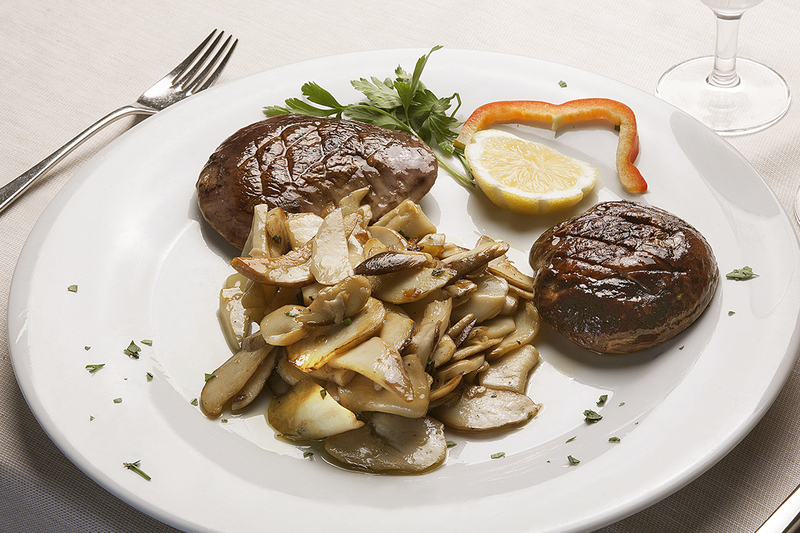 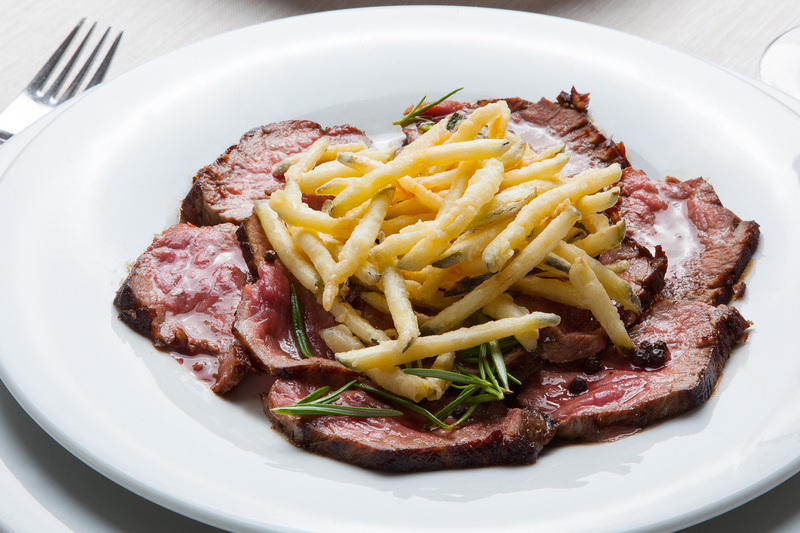 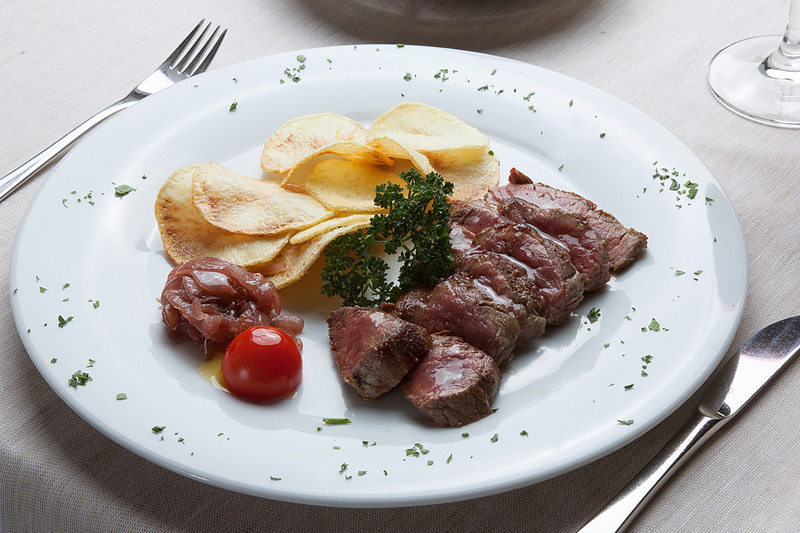 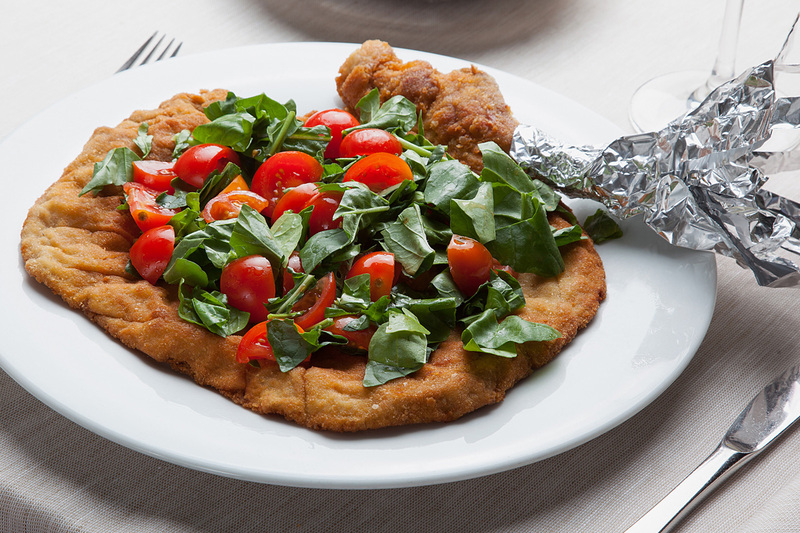 The menu includes grilled meat plates and the traditional beefsteak Florentine style, sourced from the Chianina breed. 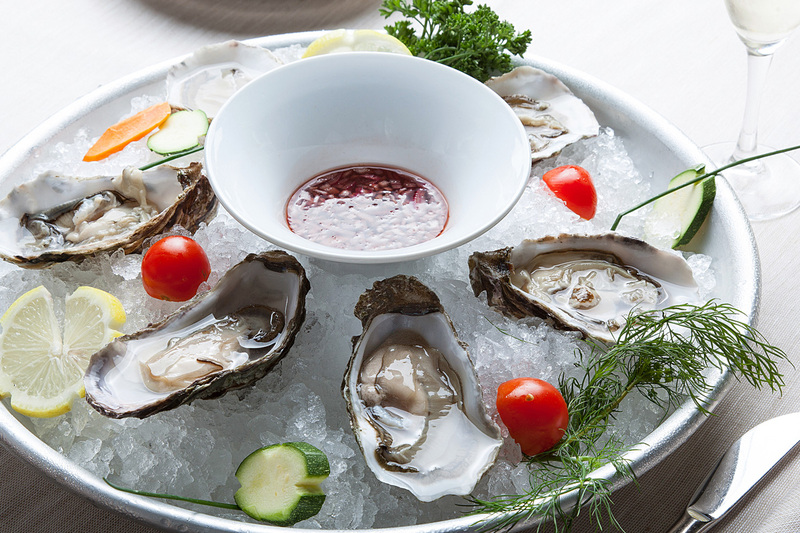 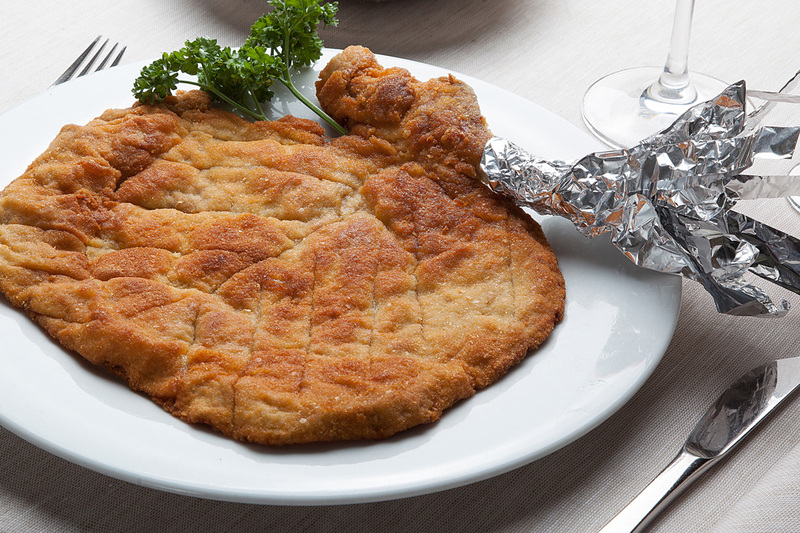 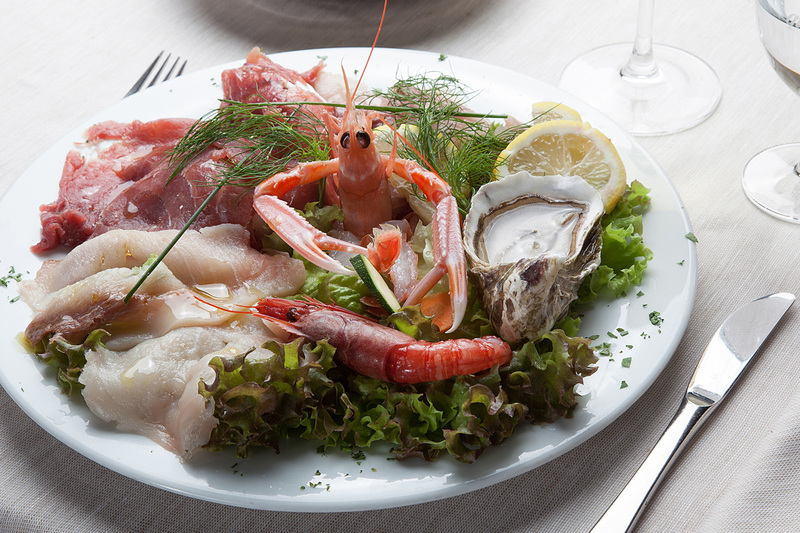 Our fish-based menu offers sea bream, sea bass, sole, turbot, Norway lobster and small squid. 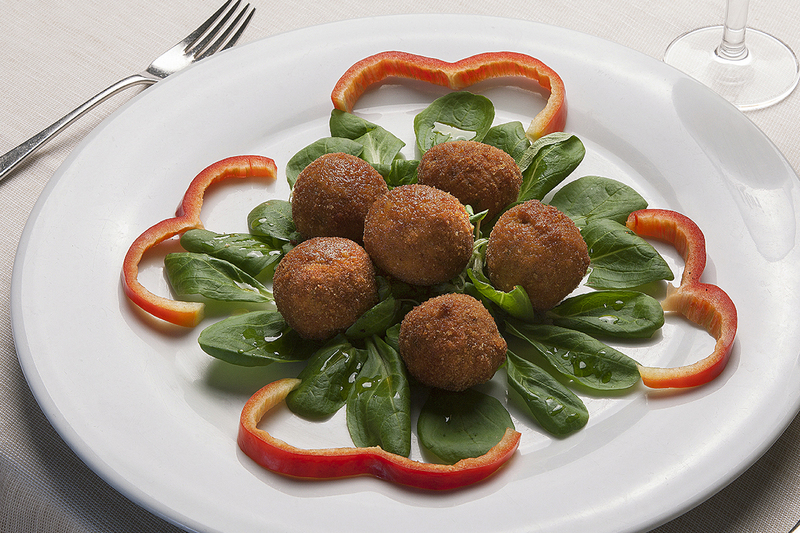 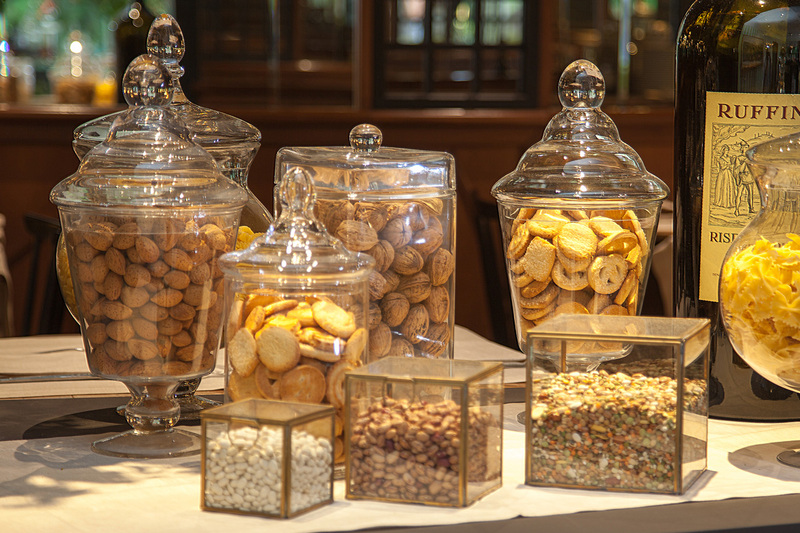 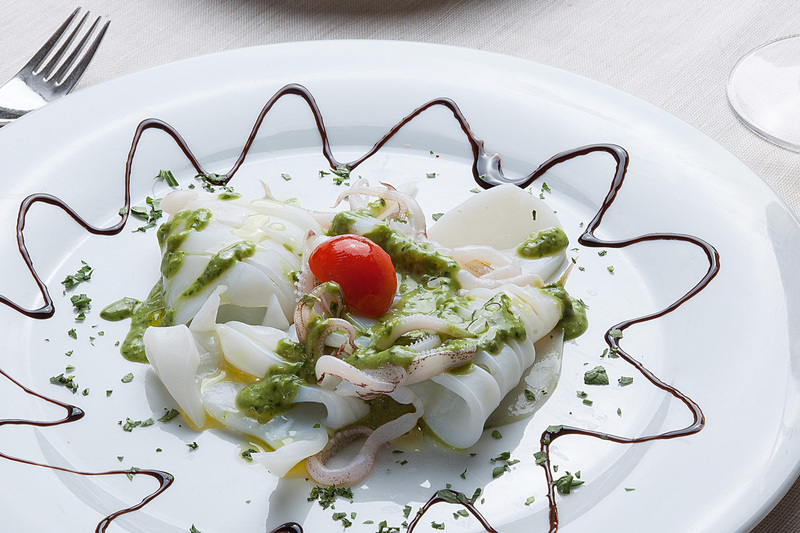 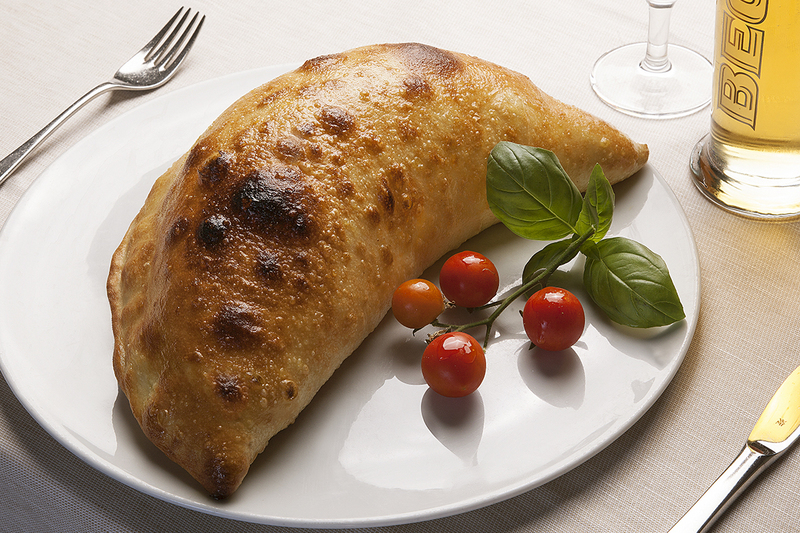 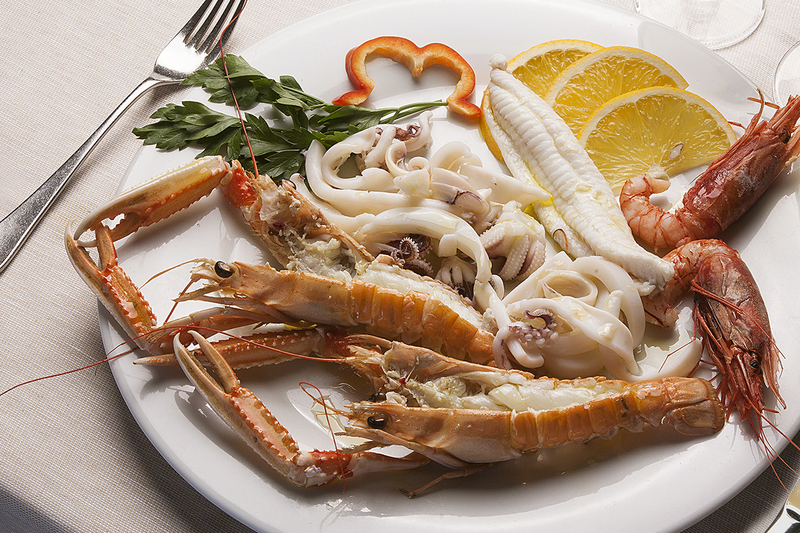 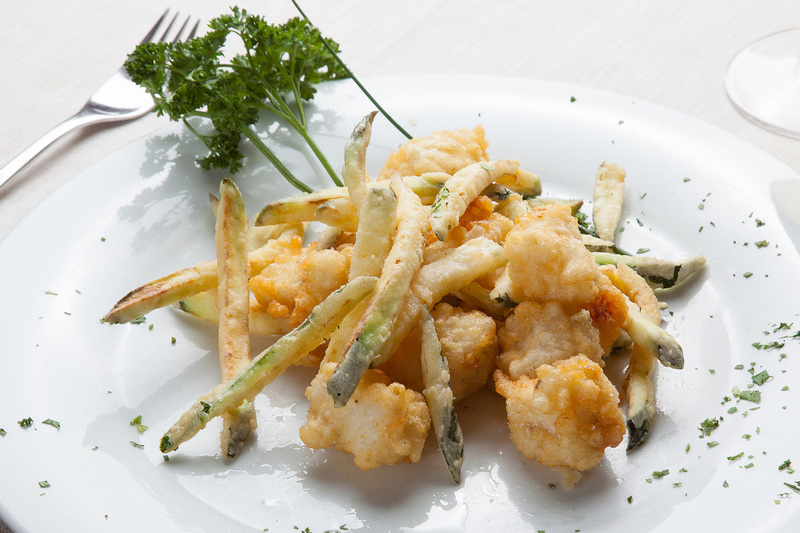 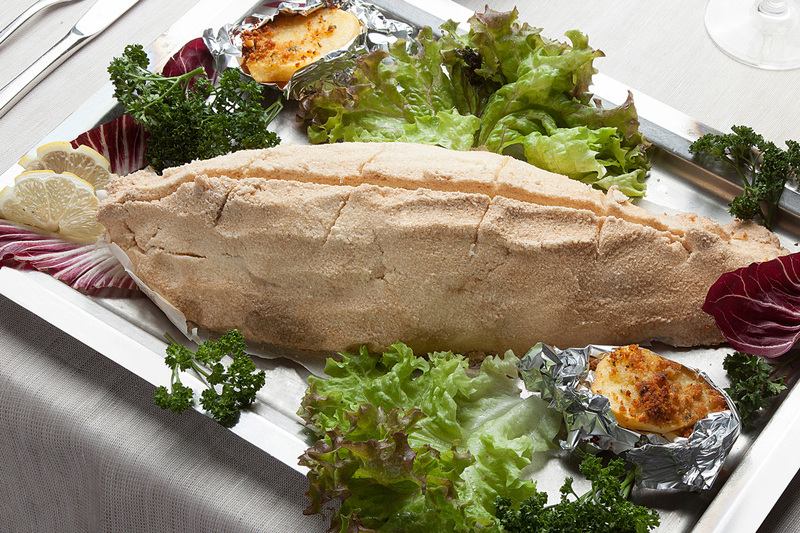 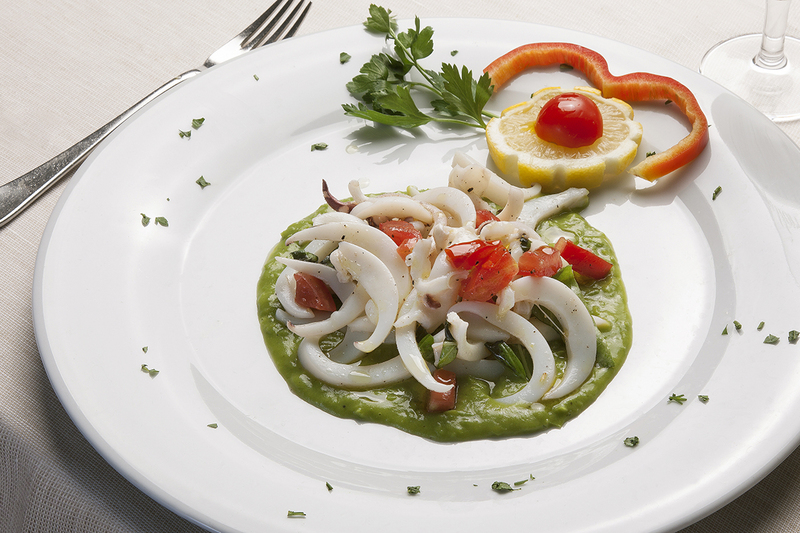 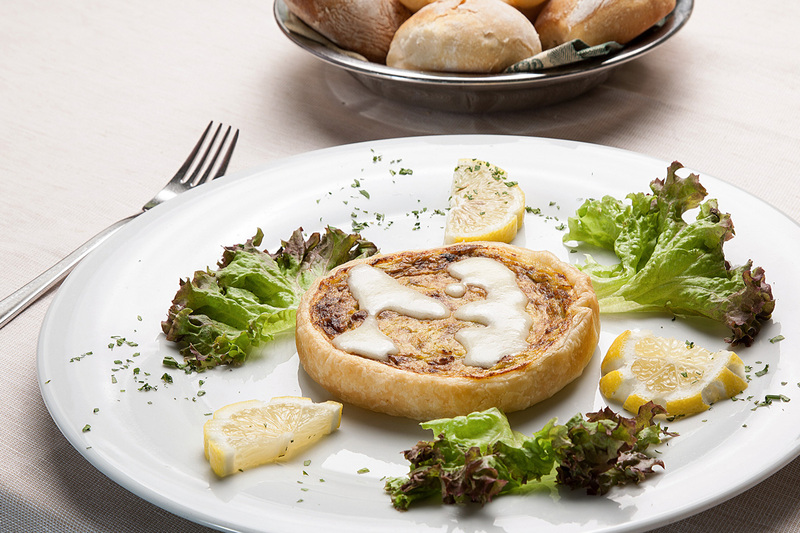 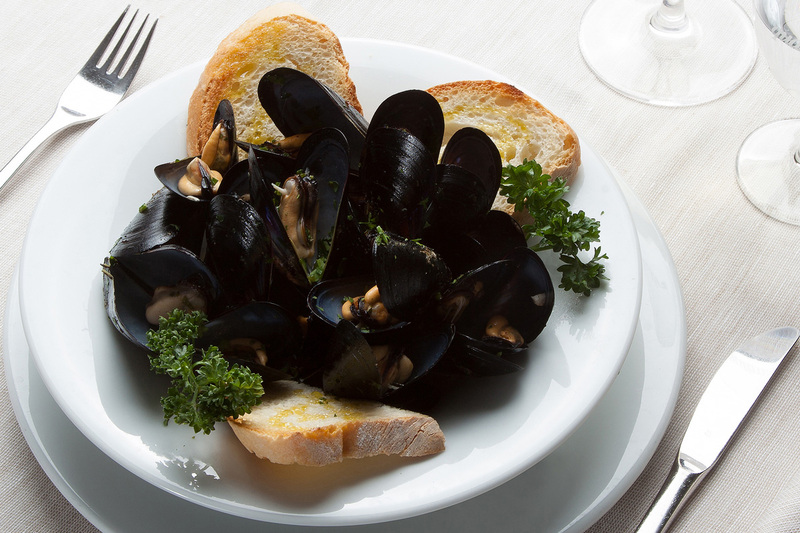 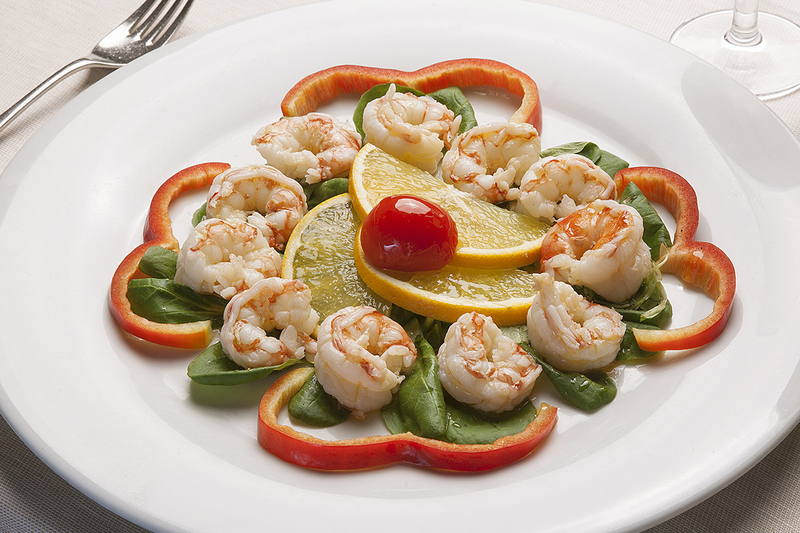 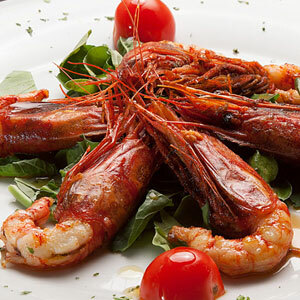 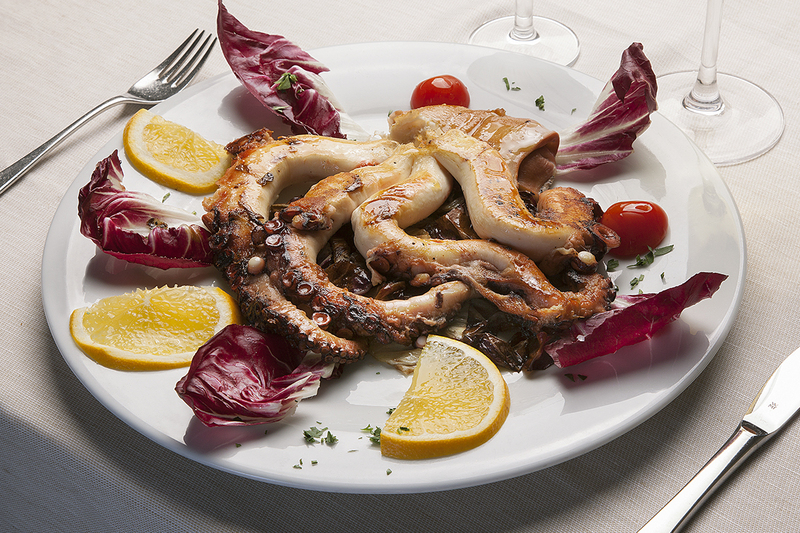 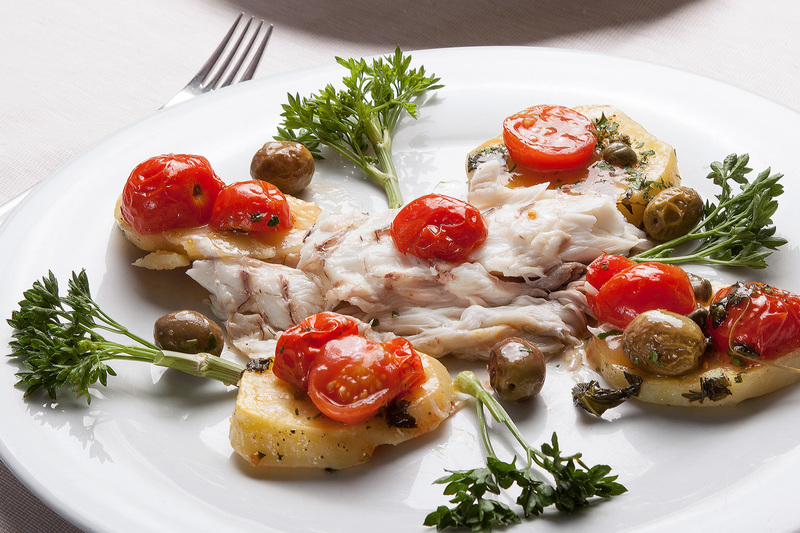 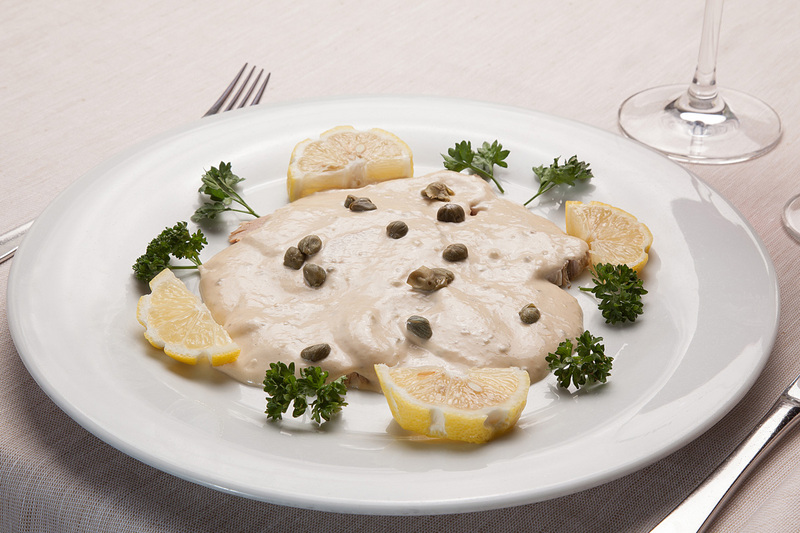 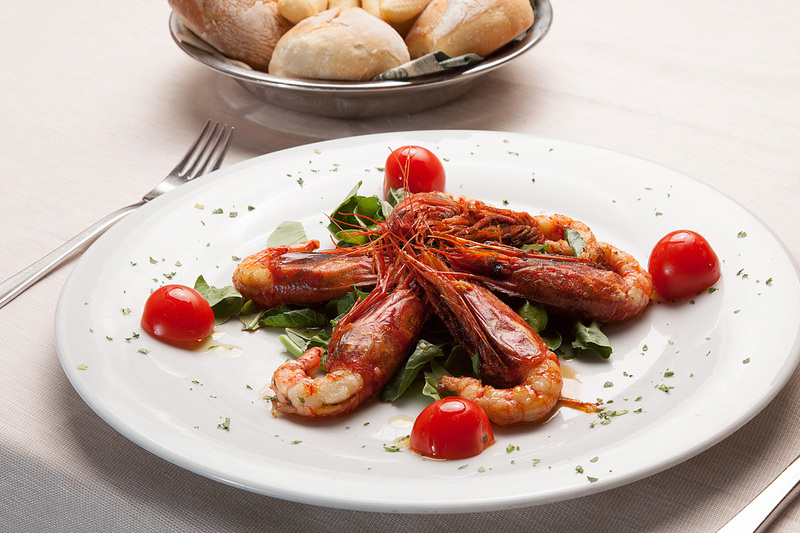 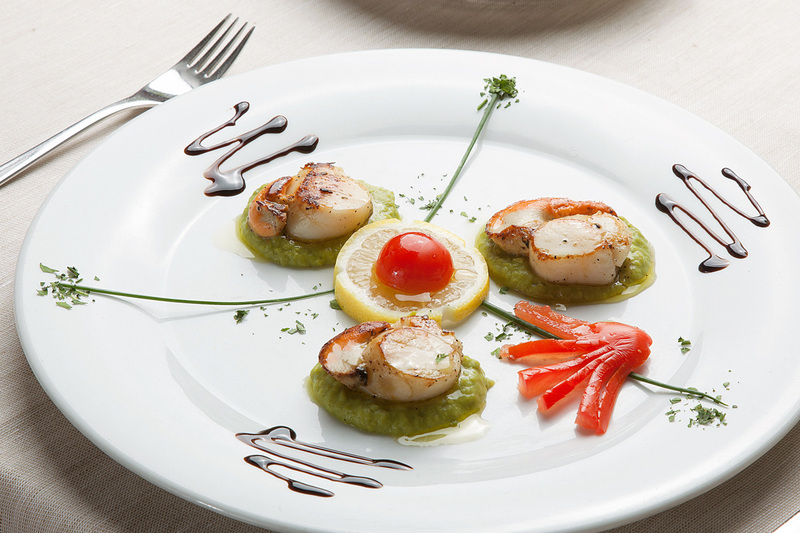 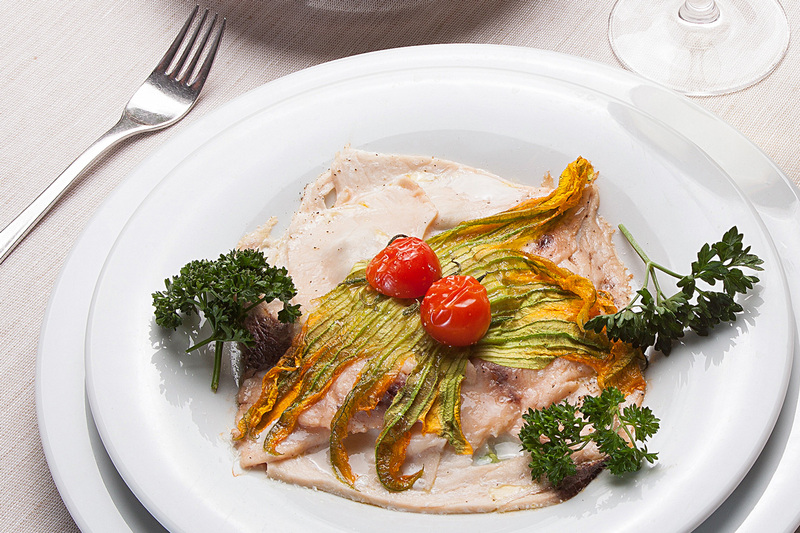 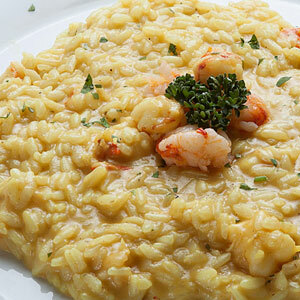 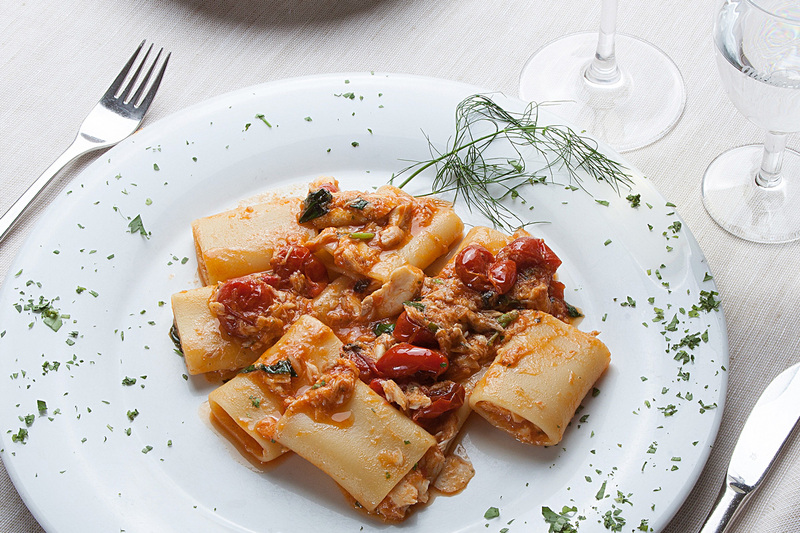 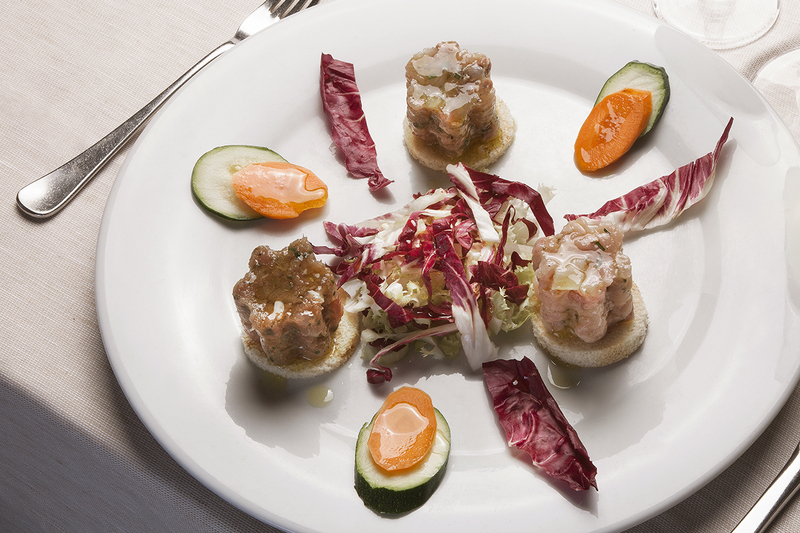 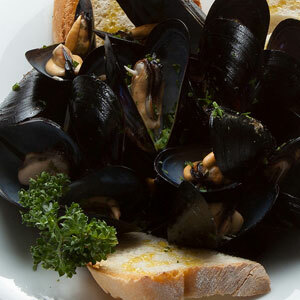 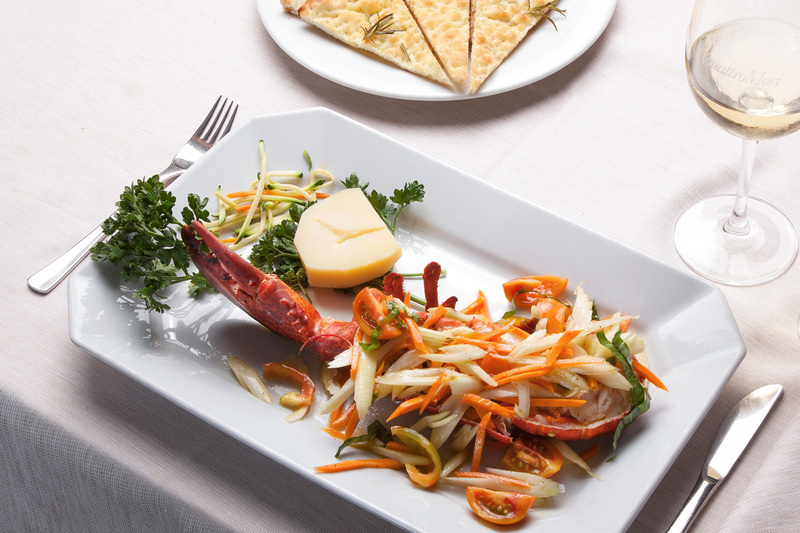 Cold and warm hors d’oeuvre are prepared according to the recipes of the Tuscan fishermen. 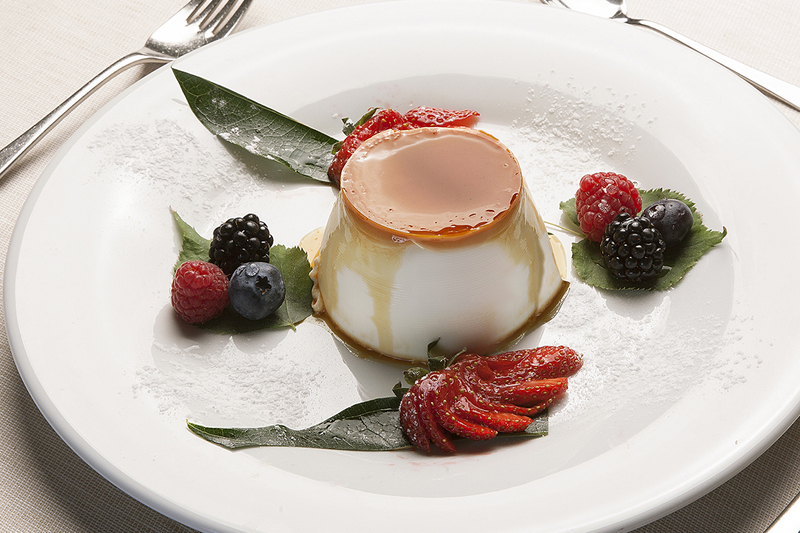 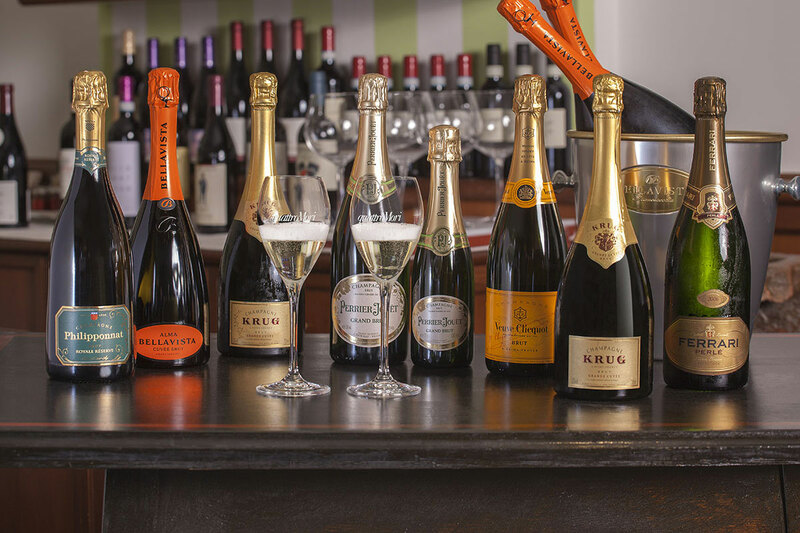 Flavours and emotions blend in a unique surrounding. 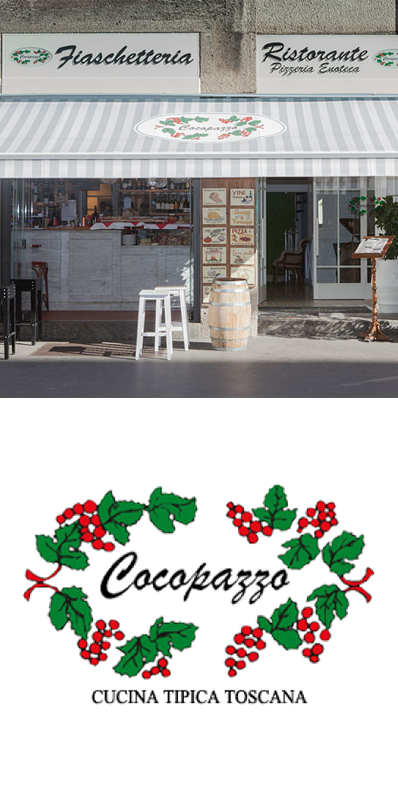 allowing the necessary time for confirmation. 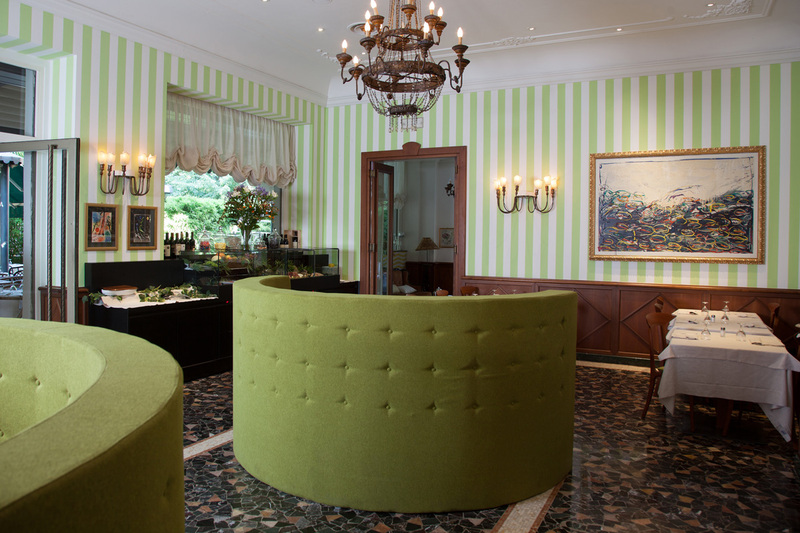 Please include a first name and last name (or the company name) as a reference, a telephone number, the date, time and the number of guests of your booking.